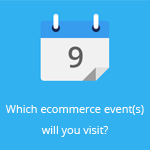 February 28, 2014 by Ecommerce News. About Cross-border with tags Denmark, Finland, Norway, Sweden. 1069 views. Some Nordic retailers are well known from all over the world. Take IKEA, H&M and Oriflame for example. But still, online stores from Sweden, Denmark, Norway and Finland must think more globally. Nowadays a lot of these sites only provide other Nordic languages and don’t serve markets with high demand. They support these observations by pointing out that Nordic online stores are sought after by customers around the world, but that some markets, especially the French and German, are underserved. “Retailers should align languages with international demand”. International searches for Nordic online store have grown 30% in the last three years, with Italy, Greece and Germany as the fastest growing European countries in this category. Italy for example showed a 66% compound annual growth rate for searches from Italian consumers for Nordic e-retailers. When looking at the top 15 online stores in each Nordic country (as defined by domestic search volume) it seems that 40% doesn’t offer multiple languages. One in four stores only offer 1 to 3 multiple languages, while one in ten offer 4 to 6 multiple languages. Additional Nordic languages are commonly offered, but they reach a far smaller audience than English, German or French. The research also shows that just 1 in 8 Nordic online stores currently serve markets outside of Europe, while 33% deliver to European countries. The majority only offers delivery to the local market (38%) or other Nordics countries (15%). Swedish and Danish online stores are leading the way, offering more languages and delivering further than countries like Norway or Finland. Denmark and Sweden also show the biggest international growth rate for Nordic online stores, with respectively 40% and 35%. Finland finishes last, with only 21%. When we take a look at what the leading nordic online pureplayers are based on their international demand, it’s painfully clear Finland doesn’t play any rol in this. The top 15 consists of six Swedish online stores, six Danish online stores and three Norwegian ones. Danish ecommerce company Smartguy / Stylepit finishes first, followed by the Norwegian online stores Komplett and Optimalprint. When looking at multichannel retailers, it becomes clear that Sweden dominates this list, as it delegates nine companies. IKEA, H&M and Oriflame make up for the complete top 3. Marimekko is the only Finnish company on the list.